Radically tidy up the rear end of the BMW G310GS '17- models with this injection moulded R&G Tail Tidy. 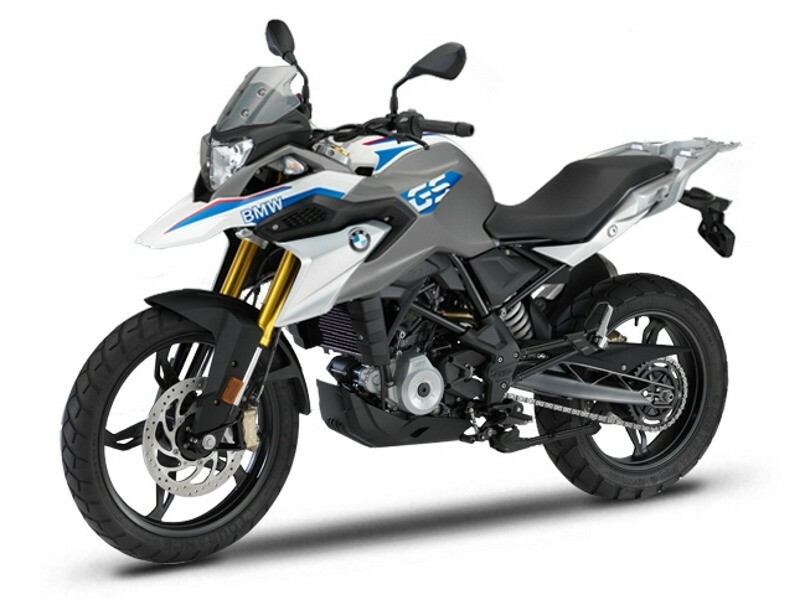 Available in Black or Titanium (Silver Coloured) or Blue powder coat finishes fitting the BMW G310R/GS '17- models. Made from pressed aluminium. They improve the looks of your bike as well as help protect your expensive and vulnerable radiator from flying road debris. This R&G Stainless Steel Radiator Guard protects both of the radiators on the BMW G310R '17- and G310GS '17- models. The R&G Stainless Steel Radiator Guard series is a more rugged version of our existing aluminium radiator guard series. Dropping your cherished bike can be an expensive exercise. R&G Adventure Bars offer the rider peace of mind. R&G Adventure Bars provide essential crash protection for your motorcycle. Made from 25.4mm gauge steel tubing, powder coated for a strong and superbly finished product. R&G Bar End protectors have been specially designed and developed for the BMW G310R / GS '17- models. Easy to install they simply screw-in-place of the OE bar ends taking only seconds. This Carbon Fibre Lever Guard kit has been specifically designed for the BMW G310R / GS '17- models. This moulded Lever Guard kit can be fitted to either the brake or clutch sides and has been specifically designed for the BMW G310R / GS '17- models and is available in a range of colour options. Are they cotton reels or swingarm protectors? Well, they are both really!! R&G Offset Cotton Reels protect the swingarm and core swingarm components from damage in the event of a crash, slide or drop. Doubling up as paddock stand bobbins too, they allow the motorcycles rear wheel to be lifted into the air with the use of a paddock stand to perform chain adjustments, chain lubrication and cleaning! These fork protectors are suitable for the BMW G310R / GS '17- models. Easy to install, they simply install onto either side of the spindle connected by a tie bar helping eliminate damage to the front forks, fork bottoms, disc, fork bottoms and brake calipers from a crash or drop or slide. These Spindle Sliders mount directly through the rear spindle axle of the BMW G310R / GS '17- providing both crash protection to the rear components, protecting the swingarm and components, like the brakes and drivetrain in the event of a crash or drop but also functioning as paddock stand bobbins, allowing the bike to be lifted up on a Rear Paddock Stand for cleaning and maintenance. These Swingarm Protectors for BMW G310R/GS '17- models, fit into the rear spindle, looking great and protecting the swingarm. Held in place thanks to the stainless steel connecting bar design means installation is a breeze taking only minutes. They help protect the core, expensive components found around the swingarm area, such as the brake calliper, disc, sprocket and the swingarm itself! This 2-piece Tank Traction Grip set has been specially designed for the BMW G310GS '17- model. This 5.5" - 6.5" Round Exhaust Protector (Can Cover) will fit both left and right cans/exhausts. This protector is suitable for round exhausts with a 5.5" - 6.5" diameter. These indicator adapters are made to suit the Yamaha YZF-R125 '14-'18, Genata XRZ125 '13-, BMW S1000R '14-, BMW G310R/GS '17- and BMW R1200RS '15- models and allow the use of our own (R&G) micro indicators (RG370/RG371/RG372) as front indicators, getting rid of those large OEM indicators and helping give your bike a more sporty look. This R&G Fender Extender is compatible with the BMW G310GS '17- models. These Mirror Risers are made from 6082 T6 Aluminium and are suitable for any bike with an M10x1.25 threaded mirror socket. Suitable for the Ducati Hypermotard 821 '13- and Ducati Hyperstrada 821 '13- along with any bike with a M10x1.25 mirror mounting point. BarkBusters handguard kit designed specifically for the BMW G310R '16-, G310GS '17-.